Found 2 file extension associations related to CattleMax and 2 file formats developed specifically for use with CattleMax. As a commercial cow-calf producer, ease of use and simplicity are important for you and these are the core ideas for the CattleMax Commercial Cattle edition. The Commercial Cattle Edition can be as basic or advanced as you need - you decide how much information to enter, thus saving you time and maximizing your record keeping efforts. 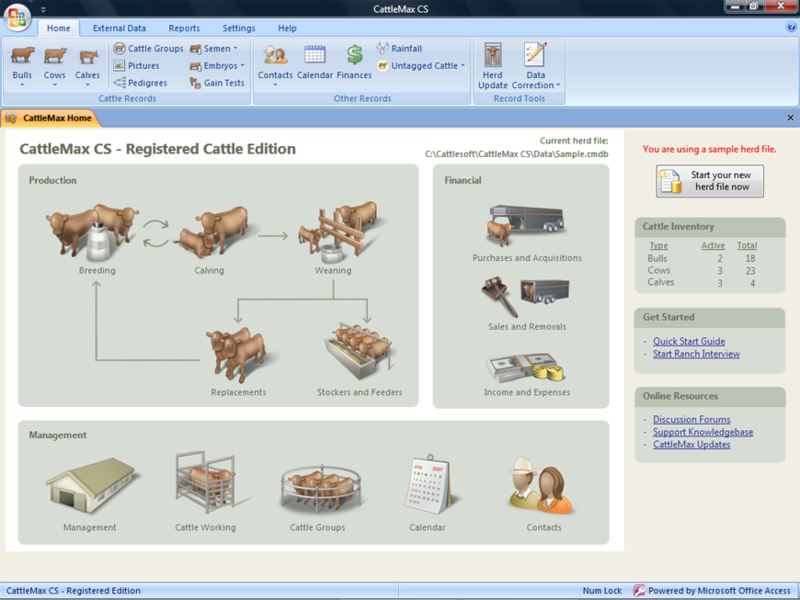 If you need more information please contact the developers of CattleMax (Cattlesoft, Inc.), or check out their product website.